Product prices and availability are accurate as of 2019-04-13 15:53:35 EDT and are subject to change. Any price and availability information displayed on http://www.amazon.com/ at the time of purchase will apply to the purchase of this product. This functional, sturdy set of 15 pieces is made of safe BPA free Polypropylene. The containers and lids are perfectly designed for heat and cold since the thick walls help to maintain desired food temperature. 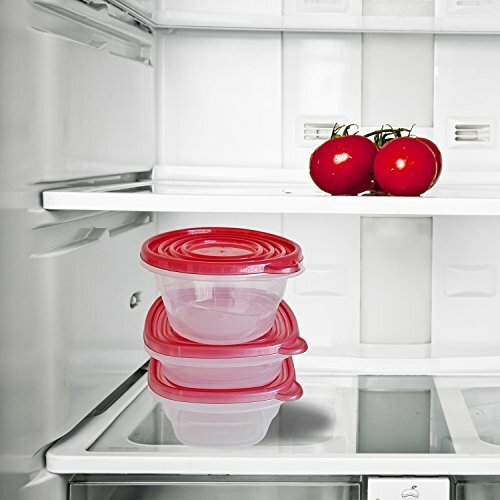 When not in use, the containers and lids stack easily inside each other, saving storage space. The transparent bowl section of each piece is transparent, making it easy to find food that you've stored. - 5 pieces 7.2" x 6.4" x 2"
- 5 pieces 7.5" x 6.4" x 3.2"
This set of 15 food storage container is the perfect storage solution for your kitchen! SAVE SPACE - Multi-use, multi-sized containers are easy to stack, both in the pantry and in the freezer. Containers fit inside each other when empty to free up storage space. 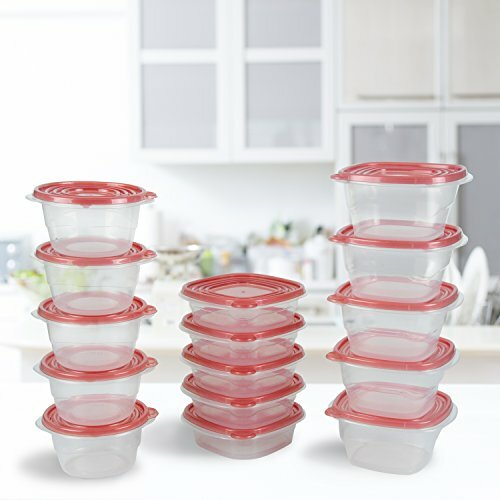 ADDS CONVENIENCE - The clear base allows you to see exactly what's inside and are safe for microwave with open lids and dishwasher on the top rack. VARIETY - 15 pieces set, 5 of each in 3 different sizes. Includes 3 different sizes for convenience and efficient storage; thick walls help foods stay warm or cool for limited time at room temperature. 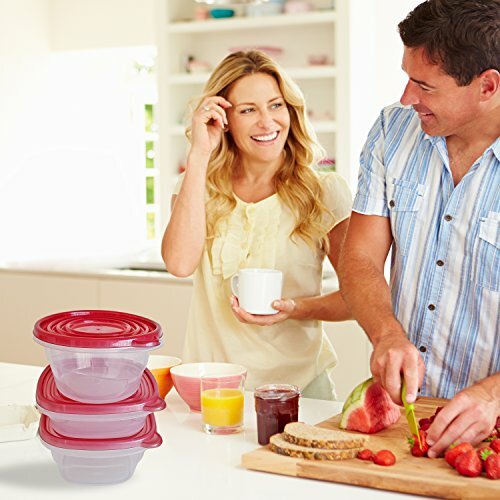 SAFETY - Each piece of this set is made of BPA free plastic so you don't have to worry about your family safety and your food won't pick up any plastic odor. MONEY BACK GUARANTEE: If you decide the product isn't for you at any time in the first 6 months, you'll receive a full refund of your purchase price.